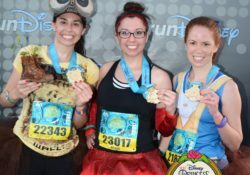 Given this blog is called “Runs in tutus,” you can probably guess how I feel about running in a tutu. The truth is, tutus (and Mickey waffles) are pretty much the reason I wake up in the morning. I’ve got loads of craft tips and tricks for making your race more magical, but first and foremost let’s learn how to make a proper tutu to wear to the ball. Here are the detailed directions. You can print a shorter version of these instructions and a shopping list by clicking here: Running Tutu Quick Reference. – Which color(s) would you like to use? Your tutu doesn’t have to be a solid color, you can alternate colors to create any look you want. – Do you want the tutu to be sparkly? – Are you trying to represent a character? If so, are there any ribbons or embellishments that might help your tutu look more like the character (for example felt hearts for a Queen of Hearts inspired look)? – What kind of shirt will you wear? 1. A coupon for your craft store! Friends don’t let friends overpay for craft supplies. If you are shopping at Joann’s, Hobby Lobby, or Michael’s, there will be coupons every week on the website and in their apps. which store you have close by. If you don’t live near a craft store, Amazon is an excellent source for tutu materials. I buy 2 spools (25 yards a roll) to make it through one solid color tutu. If alternating colors you would try one spool of each color. WARNING: Glitter tulle comes in shorter rolls (12 yards), so you may need more than 2 rolls. You will find the spools in the wedding section at Joann’s and Michael’s. Hobby Lobby has an aisle of tulle near the fabric section of the store. They cost less than $4.00 when they are full price. Any color will do. ¼ inch and ½ inch elastic both work fine. You will find the elastic near the sewing needles and small sewing supplies in most craft stores. I’ve also found elastic at Walmart in the craft section. A variety of materials can hold together a waist band, and I will demonstrate them all in this tutorial. It really depends on how much time you have, and how durable you want your tutu to be. If you have the time, hand stitching using any color thread you’ve got handy or using a sewing machine will make the most durable tutu. For a quick, no sew solution you can use heat n’ bond tape. It costs less than $3.00 and can be found in most craft stores and is also sold at Walmart. 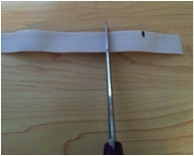 Size your waistband: Grab a pen or marker, and unroll the elastic waist band. Place the elastic around your waist pulling it slightly so it fits snug but comfortably around your waist. 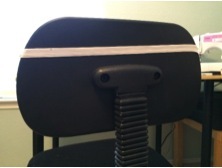 Use the pen or marker to mark a comfortable place to cut the elastic waistband. Cut the waistband: The elastic will stretch when making the tutu, so lay your elastic out on the table and cut the elastic approximately 1 inch SHORTER than where you put your pen mark. 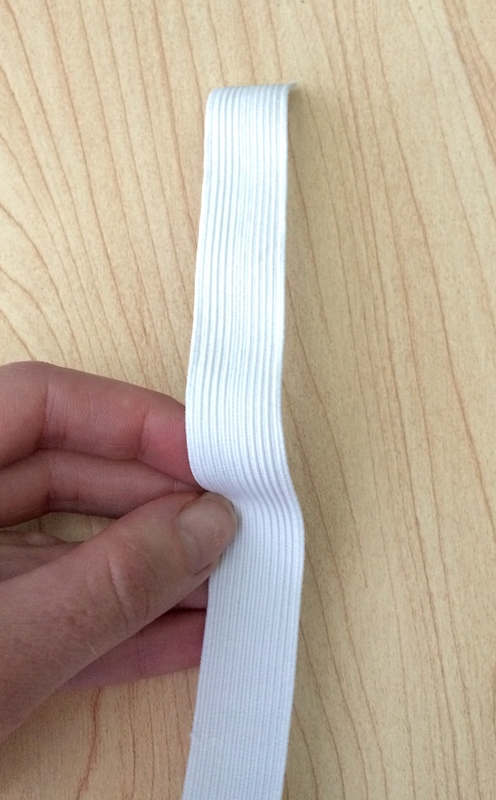 Connect your waistband: Now it’s time to connect the two ends of your elastic. Form a circle with the elastic and make the ends of the elastic overlap by 1 inch. Bond your waistband: You have two options for bonding the waistband. Option 1: Sew the ends together by hand or with a sewing machine. Option 2: Use a no-sew heat-bond product. I have used both methods on many different tutus, and they both have been suitable for a race tutu. The seam of the waistband does not need to be “pretty” because it will be hidden by tulle. Option 1 Sewing: To sew by hand, thread your needle and tie a knot at the end of the thread. Use and over under stitch to secure all the edges. I just stitch until the elastic feels secure. If you have a sewing machine, you can use any basic stitch you’d like. I’ve experimented with straight stitches, zig zag stitches, and stretch stitches and they’ve all worked out just fine. My advice: Keep it simple. Option 2 No Sew heat bond: Cut or tear about an inch of the heat bond tape. Place the tape between the 2 ends of the elastic. Next, press and hold a hot iron on top of the elastic (right over where you put the tape). Disclaimer: Heat bond ironing procedures can vary slightly by brand so double check the instructions on the package of your tape before you start this step. The length of your tutu will be half the length of the strip you cut. I usually cut the tulle in 14 inch strips, so I have about a 7 inch tutu. For reference, the picture of the Queen of Hearts tutu at the top of this blog is an image of a 7 inch tutu. Attach the tulle: You will now put everything together. 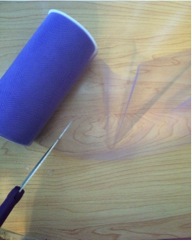 You will attach the tulle to the elastic using a slip knot. Fold a strip of tulle in half. Slide the folded tulle under the waistband so that the folded side is on the top. Grab the dangling ends of the tulle and pull them through the loop. Continue to tie slipknots of tulle on the waistband until the entire elastic waistband is covered with tulle. 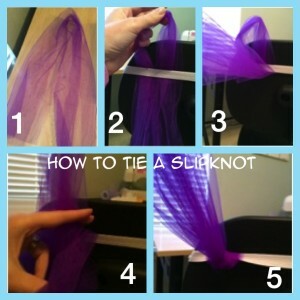 While I have pictures here on how to tie a slipknot, this step can be tricky. 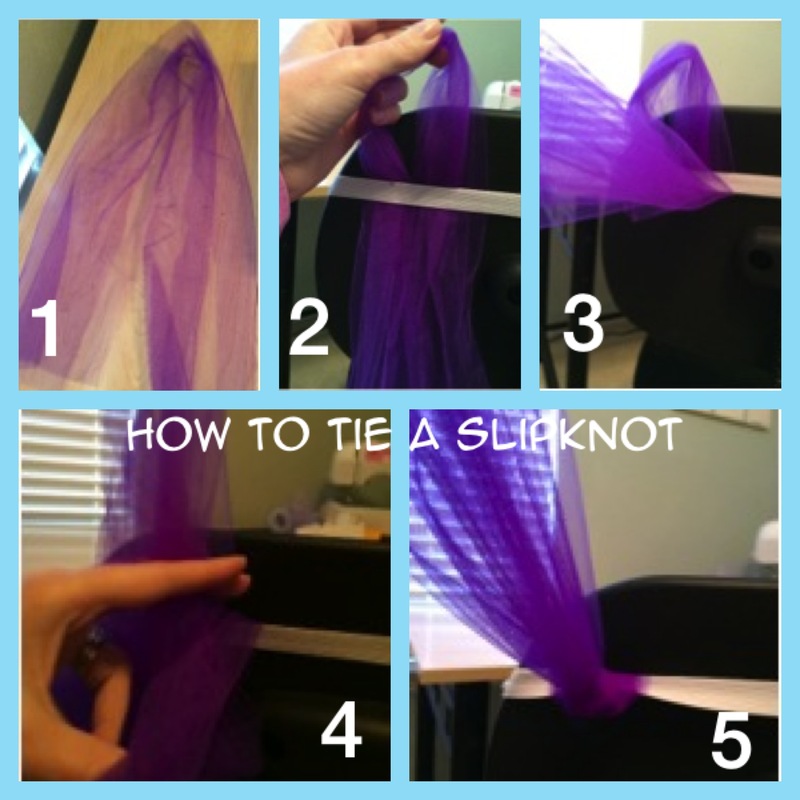 I made a short video on how to tie a slipknot in case you need some more detailed instructions. 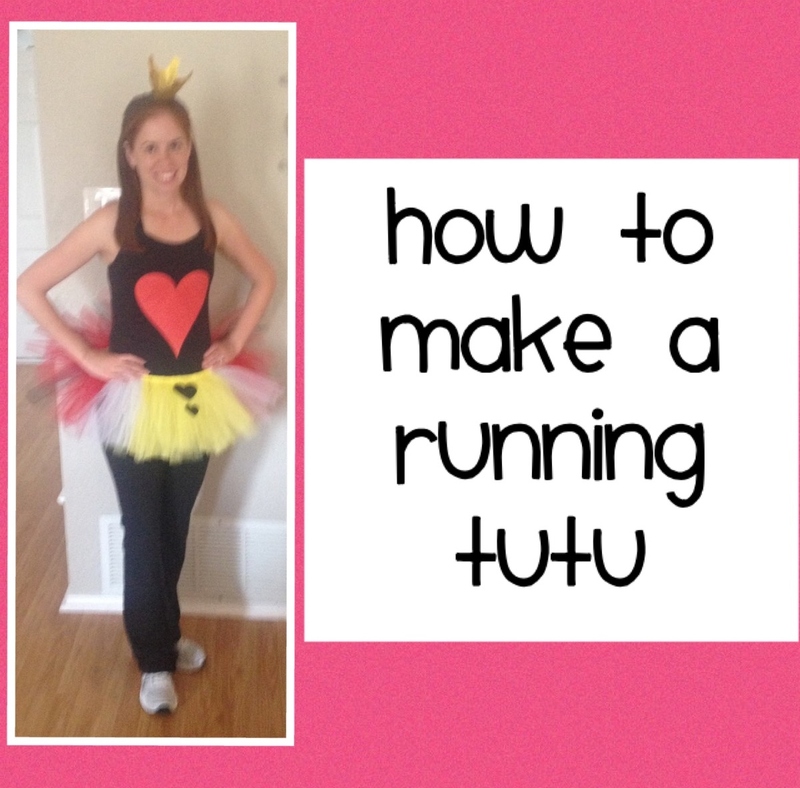 Step 5: Wear your tutu! Congrats! Your tutu is ready for the race! I recommend taking it for a test ride before the day of the race just to make sure you are comfortable with the length and the feel. You can experiment with what works best to wear under your tutu. 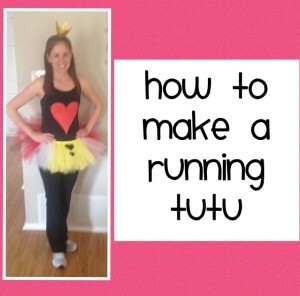 Running skirts, shorts, capris, leggings, and yoga pants can all be worn under tutus. Choose what makes you feel the most comfortable. I also like to use ribbon for the no-sew method of tu-tu making. also, my preference is to not use the spool because I think it’s too stiff. DIY-ers, if you want to go the no spool route, you are just going to have to do a little more cutting to get your bolt of tulle to be in rectangular strips.